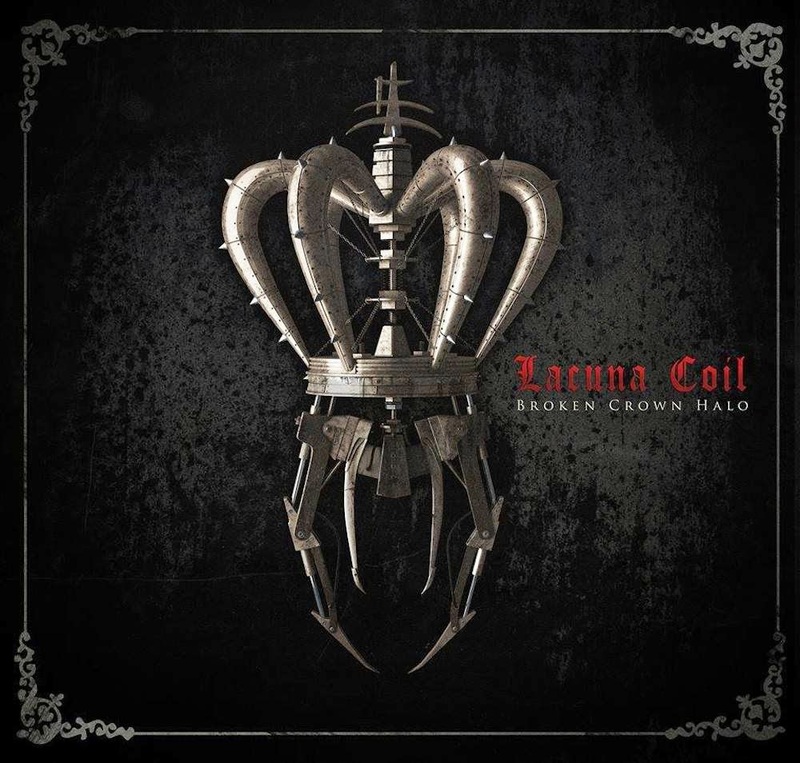 Hall of the Mountain King: Review: Lacuna Coil, "Broken Crown Halo"
Male vocalist Andrea Ferro brings a bit more harsh vocal in places on this record, offering something that’s near a death growl to punctuate Cristina Scabbia here and there. It’s welcome and used sparingly enough to maintain its power. Scabbia herself dips into a more hip hop-influenced vocal for just a few seconds on “Victims.” Otherwise they pretty much play it safe. Unsurprisingly, Scabbia sounds fantastic on this album, most notably on the chorus of “Zombie” and dark album closer “One Cold Day,” which puts the focus on the band’s goth roots. The album opens, as it should, with a blast of energy in “Nothing Stands in Our Way.” This is where we first hear the more growly vocals from Ferro, providing support for Scabbia. The song has a big, infectious chorus and a bouncy groove on the heavy portions that gets the mood flowing in the right direction right out of the gate. “Zombie” brings an even heavier riff to begin as Ferro takes the lead on vocals for the first time then hands off to Scabbia for a soaring and impressive chorus. I have to admit to a little disappointment. Given the band’s penchant for alternative rock covers over the last few records, I was really hoping this would be a cover of The Cranberries’ 1994 tune. Scabbia would have ripped on that one, but she owns this one, too, and it’s one of the strongest tracks on the record. There is a bit of a lull in the midst of Broken Crown Halo. “Die & Rise,” while not a bad song, sounds very familiar. It’s enjoyable, but a song the band has done time and again. It features a bit too much Ferro, but that’s a complaint I’ve made about almost every Lacuna Coil record I’ve reviewed. Scabbia is such a powerhouse that I pretty much want to hear her sing everything. The energy picks back up on “Infection,” with a driving guitar riff. I like Ferro’s whisper-effect accent vocals on the track. That’s really where he’s at his best, providing the foil to Scabbia. To be fair to Ferro, though, he does have his moment on the record with “In the End I Feel Alive.” The tune opens with one of those big, groove-oriented bouncing riffs and Ferro delivers a verse vocal that’s a perfect fit. Scabbia soars over him on the chorus, and it all works very well together. Broken Crown Halo, as I said earlier, delivers pretty much exactly what you expect from Lacuna Coil. There are a few small twists, but no big surprises. It’s a steady, dependable dose of their goth-influenced hard rock with a couple of outstanding performances from Cristina Scabbia, and that’s just fine with me.